Internet killed the video star? No way, OK Go once more push the boundaries of music videos with their latest single Upside Down & Inside Out shot in a zero gravity environment. 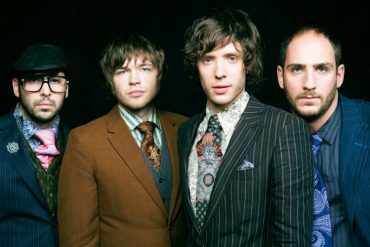 OK Go is celebrating its 10th year of making pioneering music videos by unveiling its most ambitious clip yet. Upside Down & Inside Out was shot in zero gravity in the skies above Russia. Upside Down & Inside Out – which features the band and S7 air hostesses Tatyana Martynova and Anastasia Burdina, who are trained aerialist acrobats – was shot in an airplane that flies parabolic maneuvers to provide brief periods of weightlessness. The longest period of weightlessness it’s possible to achieve in these circumstances is 27 seconds, and after each period of weightlessness, it takes about five minutes for the plane to recover and prepare for the next round. Upside Down & Inside Out is taken from the band’s latest album Hungry Ghosts.